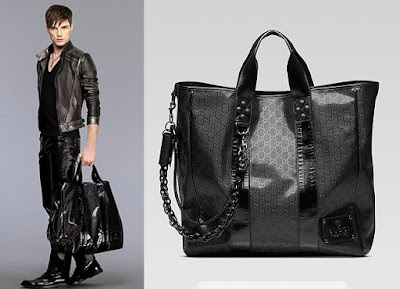 Fashionistas Daily .Com: GUCCI - GG Coated Fabric Tote with Metal & Leather Chains - Super Chic Tote Bag for Men ! GUCCI - GG Coated Fabric Tote with Metal & Leather Chains - Super Chic Tote Bag for Men ! Medium tote with double handles, gucci crest trademark, push lock chain with key case and braided detail, studs, and inside zip, cell phone and PDA pockets. 17 1/2"L x 8 7/10"W x 19 3/10"H. Made in Italy. 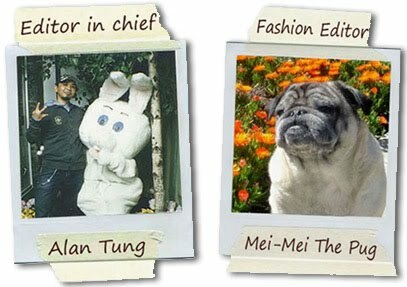 After I finish this blog, I am gonna rush to Gucci to get this super fabulous bag!